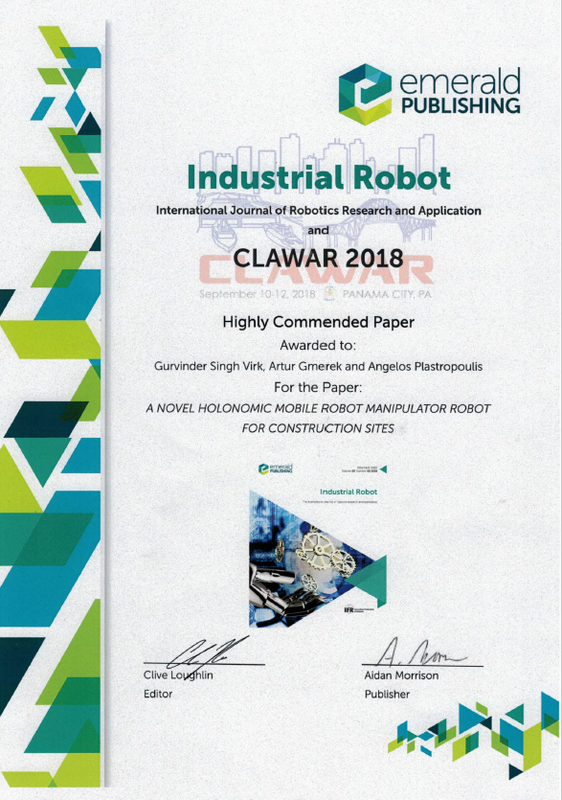 Whilst at the 21st International conference on Climbing and Walking Robots (CLAWAR 2018), two of InnoTecUK’s papers were recognised and highly commended by the acclaimed Emerald Publishing for their high-quality content, robotic aptitude and their focus on interesting and strategically important research and development activities. 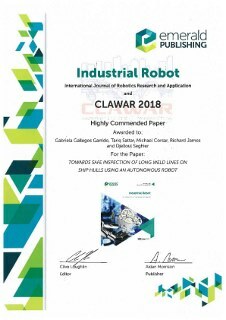 “TOWARDS SAFE INSPECTION OF LONG WELD LINES ON SHIP HULLS USING AN AUTONOMOUS ROBOT”. Authored by Gabriela Gallegos Garrido, Tariq Sattar, Michael Corsar, Richard James and Djelloul Seghier. “A NOVEL HOLONOMIC MOBILE ROBOT MANIPULATOR ROBOT FOR CONTRUCTION”. Authored by Artur Gmerek, Angelos Plastropoulos and Gurvinder Sign Virk. InnoTecUK will continue to push the boundaries of technology for robotics and automation through its continuous contribution to the field of engineering.